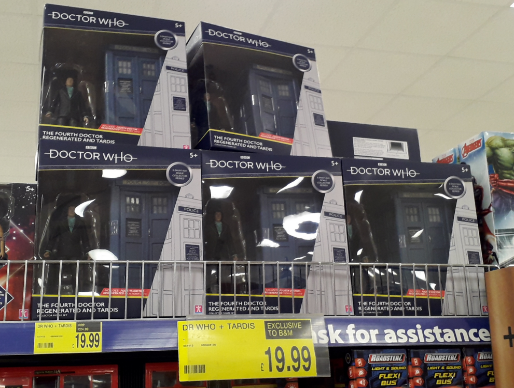 A B&M in Angus, Scotland still has tuns of TARDISes. I didnt count but Id say there was atleast 10 there? If anybody wants the exact store, PM me. Topic: Character Options DOES "kitbash" figures! Re: Character Options DOES "kitbash" figures!